RUESSELSHEIM -- Opel/Vauxhall is about to start its largest ever product offensive, Alain Visser, head of marketing and sales, told Automotive News Europe. "Next year, the year of our 150th anniversary, we are launching the largest product offensive in our history with a wide range of new introductions," Visser said in an interview at the brand's headquarters in Ruesselsheim, Germany. According to Automotive News Europe, the General Motors Co. division will introduce at least six new vehicles in 2012. The launches include the Zafira Tourer minivan in January, the Combo light commercial van in February, three variants of the Astra compact model in the summer and a small SUV in the autumn. The new Astra models are the face-lifted three- and five-door hatchbacks, a four-door sedan and a high performance version sold under the OPC badge. Early in 2012, Opel/Vauxhall will launch sales of a minicar, codenamed the Junior. Opel calls the car a "lifestyle" model and it will be aimed at the iPod generation. The car's final name is not yet decided. Two other Opel models, the Astra GTC and the Ampera electric car, will launch later this year. 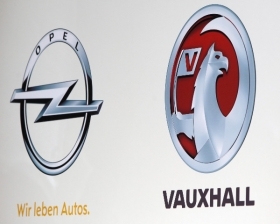 Opel and its UK unit Vauxhall will sell more than 1.28 million vehicles this year, up from 1.22 million last year, Visser said, allowing it to maintain its position as GM's second best-selling brand globally after Chevrolet. In 2012, the division aims to sell 1.2 million to 1.3 million vehicles "depending on how the market develops," Visser said. The sales goals will translate into a European market share of 6.2 percent, up from 6.1 percent last year. "Next year we want to move toward 8 percent in Europe," Visser said. Visser: Opel will reduce its dependence on Europe. In its home market of Germany Opel expects its market share will be just above 8 percent this year, up from 8.0 percent in 2010. "Long-term we want to be a 10 percent-plus brand again," Visser said. Opel will continue to reduce its dependence on the saturated European market. Said Visser: "Out of the roughly 1.3 million vehicles that we will sell this year, about 20,000 will be exported outside Europe. Long-term, I consider the export of 100,000 vehicles to be realistic." The brand has already begun sales in Israel and is preparing to launch in Australia, South Africa, Chile and Argentina. 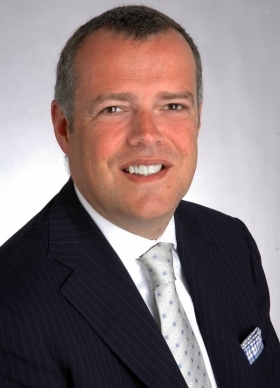 "We are also assessing the potential of the Indian market and will make a decision this year," Visser said. In China, Opel intends sell about 5,000 vehicles in 2011 and "clearly expand" its sales there over the next few years. In Russia, Opel wants to increase its market share from just under 3 percent today to 5 percent in the next three to five years, Visser said. But he said Opel will not launch in markets such as Brazil, where Chevrolet is strong.